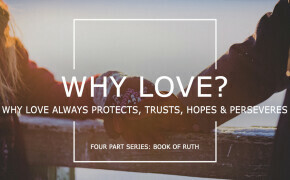 We trust you were blessed through the teaching series from the book of Ruth that Rev. Andrews concluded on Sunday, February 25th. Pastor Arun would love to hear of testimonies, lessons you learned or blessing you received from the services and the Bible teaching. He wants you to know that he thoroughly enjoyed studying, preparing, praying and preaching the series. He thinks you are one of the world’s best audiences to preach to. You may share your thoughts with Pastor Arun at . You may also want to send a letter instead of an email.